Are you looking for help with English? 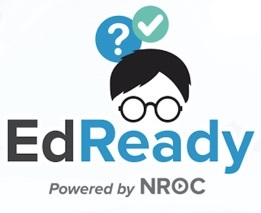 EdReady is designed to help you study English. In your study path, you will click on the "Learn" button, and there you will find all sorts of resources for learning English. The staff here at EdReady cannot help you with your English. We can only provide technical support if EdReady is not working properly. So we encourage you to study in EdReady, and if you are confused about any of the concepts, please talk to your instructor or a tutor at your school to get help with specific English concepts. You can also check out http://HippoCampus.org, which has many free learning materials that can help you.